The example we’ll follow will be a Service-Oriented Architecture (SOA) car rental system model, developed by the team at Sparx Systems, that’s implemented with a combination of web-services and custom software. Our SOA Process Roadmap will tie everything together in what we hope will be a clear and understandable manner. Web services and SOA have become increasingly important in today’s IT universe. A recent article from IBM Global Technology Services suggests that nearly half the companies in the world are either adopting, piloting, or considering SOA, and that investments in these projects may reach between $18 Billion and $160 Billion in the near future. With those sorts of numbers, it stands to reason that many readers will be interested in a roadmap and a cohesive example that brings some clarity to the problem. Hopefully this includes you. Service-Oriented Architecture (SOA) is an approach to building complex software systems from a set of reusable services that obey service-orientation principles. Many people believe that Service Oriented Architectures can help businesses to be more “agile” -- in other words, enable faster and more cost-effective responses to changing conditions. SOA enables construction of applications from fairly large chunks of reusable functionality that can built quickly, primarily from existing services. Thus, SOA promotes reuse at a “macro” level, and, in theory, as an organization publishes more and more business functionality as services over time, the cost of building applications that use those services decreases. As it turns out, an SOA example also serves to illustrate many of the features of the Sparx Systems solution, which supports building “executable business processes” that use WSDL (Web Service Definition Language) to implement their solution. And, since projects don’t live by web services alone, Enterprise Architect has numerous other useful features for handling those parts of the application that require custom (non-web service) development. In particular we’ll be spending a significant amount of time exploring in this book include a new and unique capability for “behavioral code generation” for the enforcement of Business Rules, and tight integration with IDEs, including Eclipse and Visual Studio. We’ve leveraged the power of these capabilities into our SOA Roadmap. 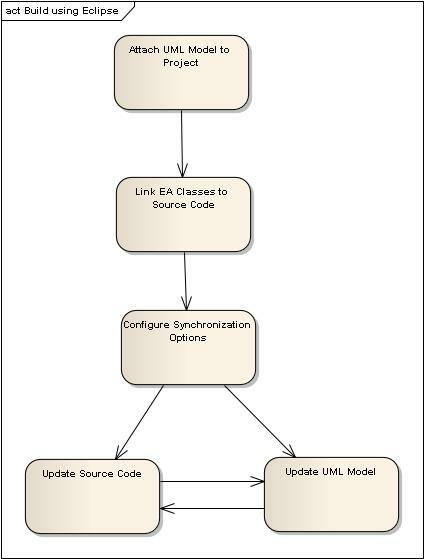 As with all of our ICONIX Process Roadmaps, our SOA roadmap is defined as a set of activity diagrams. In this case, the roadmap provides a “cookbook” set of steps that can be followed for building systems that are based around a Service-Oriented Architecture. Figure 2 shows our top-level roadmap. Some of these top-level activities will expand out to a child diagram showing further detail. As you can see, the top-level roadmap includes some “common stuff” like figuring out your requirements and modeling the problem domain, and then provides multiple paths for developing different flavors of business processes, all the way to code. As shown in our top-level roadmap, there are a few “setup” activities that will are necessary at the beginning of our SOA project. We’ll begin with a simple domain model (also called a fact model), that shows the main objects in the problem domain (Figure 3). Business Rules are represented in Enterprise Architect as stereotyped Requirements. 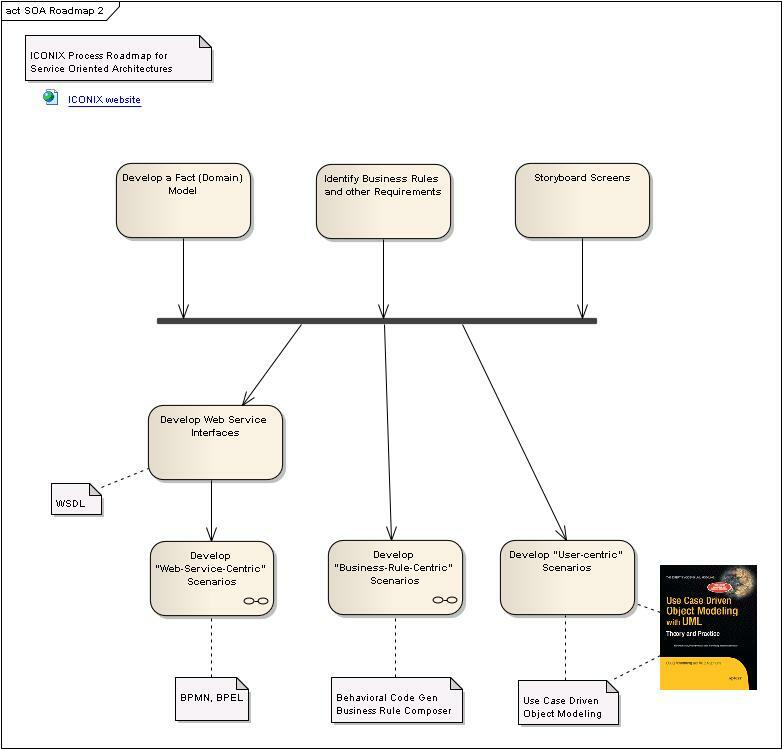 Figure 4 shows a Requirement Diagram for our Car Rental System that organizes these business rules according to different RuleTasks. We’ll talk more about RuleTasks (actions that enforce Business Rules) shortly. 1) Scenarios that use web services (for which we will develop web service interfaces using WSDL, and orchestrate the use of those web services using BPMN and BPEL. Finally there is the user interface. These would be the screens of the car rental system that the reservations agent accesses, and which would trigger the business rule checks and B2B transactions. These parts of the system are best modeled using use cases, following a “use case driven” approach that’s out of scope for this article, but well documented in my other books. With all of these branches, we can compile and build using either Eclipse or Visual Studio, and use the Sparx “MDG Integration” technology to keep models and code in-synch. Suppose you wrote an interesting application (maybe a program that automatically generated a horoscope based on your birthday and today’s date), and you wanted to publish your application to the Internet so anybody in the world could purchase their horoscope from you. How would you do that? Most likely, you’d do it with a web service. Web services support distributed, platform-independent development. Using web services, you can publish any application you choose to build over the web. A web service can be written in any language and hosted on any computer that’s connected to the Internet. The concept behind web services isn’t new; previously developed similar approaches include OMG CORBA, Microsoft DCOM, and Java/RMI. You can think of a web service as something like an Internet-enabled API. You’d describe your horoscope web service using Web Service Description Language (WSDL); an XML-based language that describes the public interface to the web service. WSDL tells you only how you can interact with the web service; it says nothing about how the web service works internally. WSDL defines Services as collections of Network Endpoints, or Ports; a collection of Ports defines a Service. A Port associates a network address with a reusable binding, and a Message is an abstract description of the data that is being exchanged. 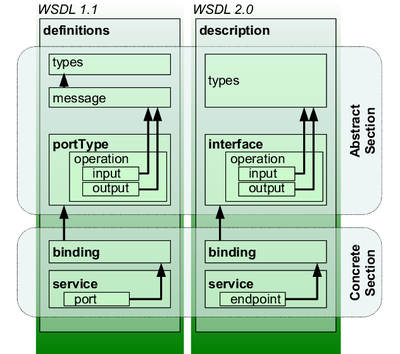 A WSDL file has an “abstract” section that describes Ports and Messages, and a “concrete” section that describes specific instances of their usage. This file structure is shown in Figure 5. 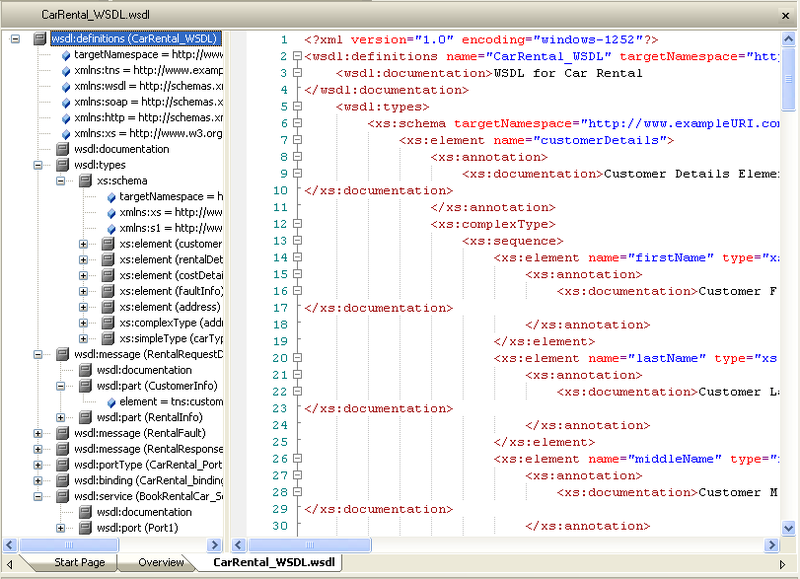 Once we’ve defined our Types, Bindings, Ports, Messages, and Services, it’s time to generate WSDL by right-clicking on our WSDL component and choosing Generate WSDL from the context menu. 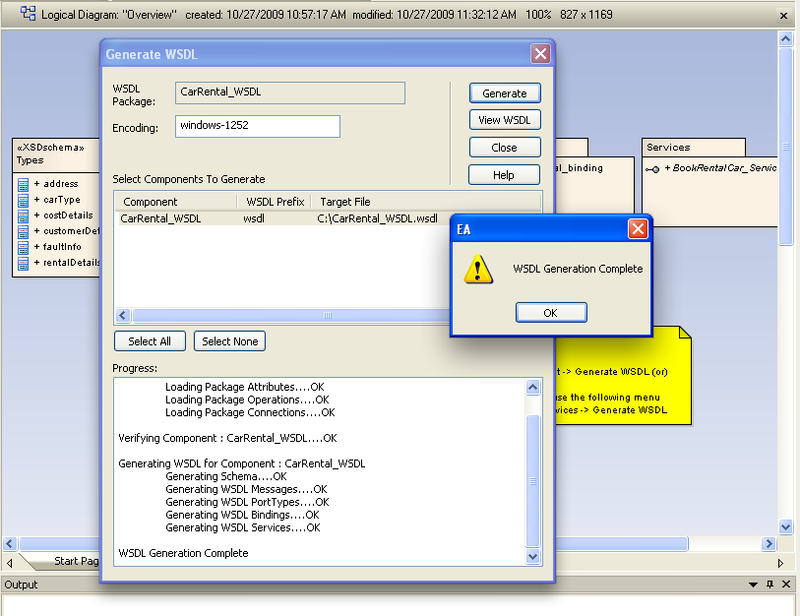 Figure 7 shows the WSDL generation in progress. The term “orchestration” is often used to describe implementing a business process by using a number of web services in a collaborative way. 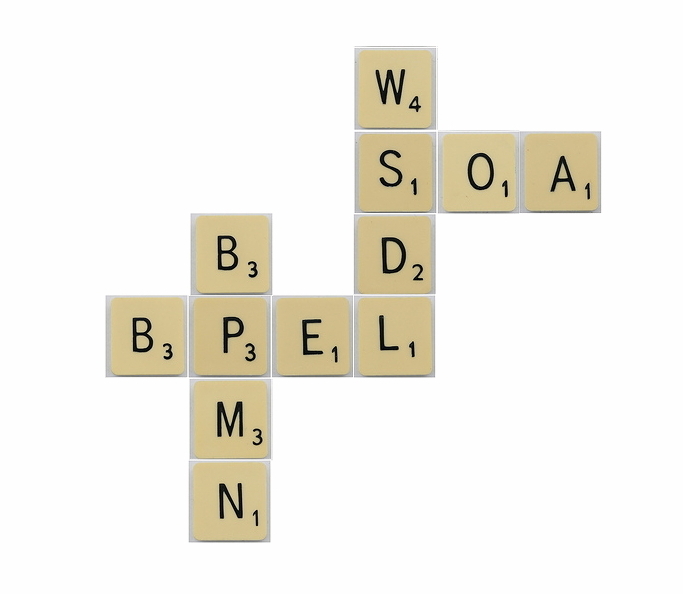 We’ll use BPEL to orchestrate web services, and BPMN to model BPEL. Note that it’s possible to draw BPMN (Business Process Modeling Notation) diagrams to model business processes without generating BPEL (Business Process Execution Language). 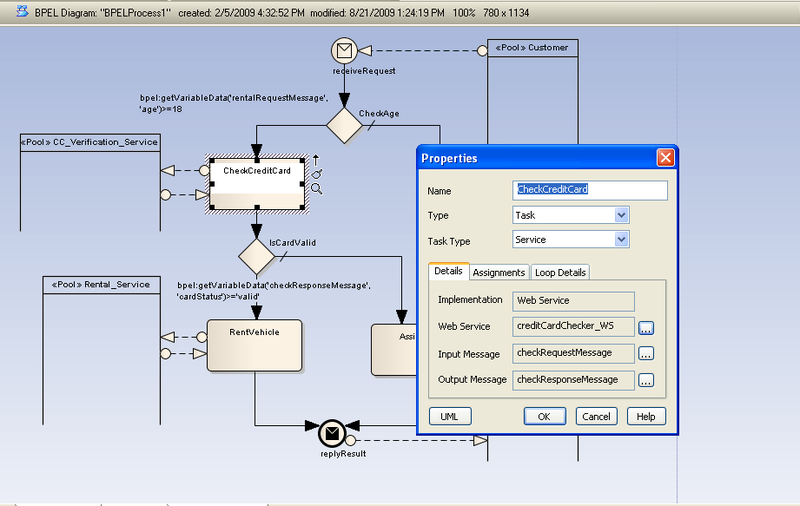 And, you can model BPEL using other graphical notations besides BPMN. But one of the more interesting strategies, which we’re following in this roadmap, involves using BPMN to model BPEL processes. 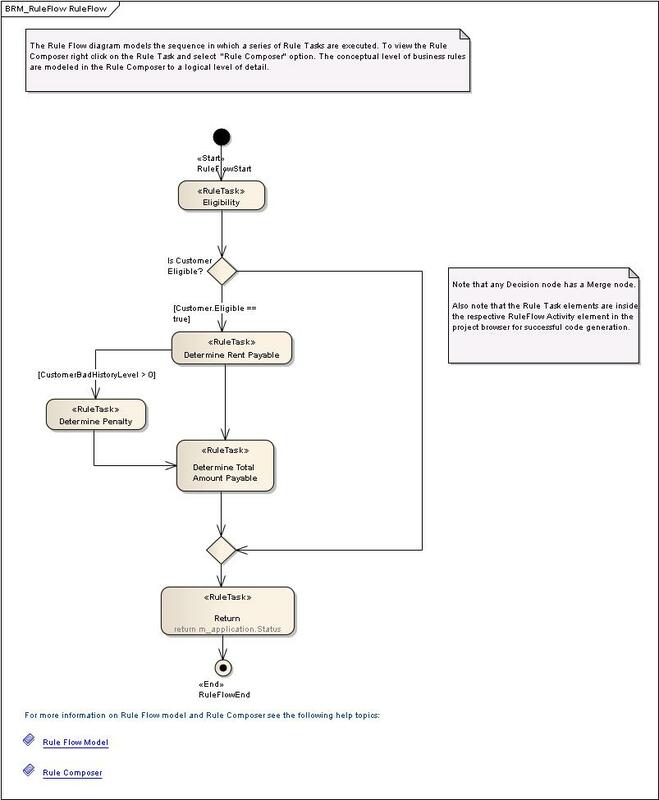 Figure 10 shows a BPMN diagram for our BPEL Car Rental Process. The process begins with a Start Event: a Request is received from the Customer. If the customer is of legal age to rent the vehicle, a (B2B) web service is used to check the Customer’s credit card. If the card is valid, another web service is used to rent the vehicle, and a “Success” message is sent. If either the age or credit card checks fail, a “No” message is sent back to the customer. Once we’ve defined our activities, gateways, and events on our BPMN diagram, we can specify additional BPEL details as attributes on our BPMN elements. In Figure 11, we’re defining that the CheckCreditCard activity will be implemented as a web service, and will take a “request” message and generate a “result” response. Finally, after we’ve specified our BPEL Process and validated the model, Enterprise Architect will generate the BPEL code to accomplish our business process. Even in a service-oriented system, not all business processes can be implemented by orchestrating web services. Some business processes will involve user interfaces, and some will be focused on enforcing business rules. We won’t discuss GUI-based software use cases in this article, but we will spend a fair amount of time discussing some new ways to implement those processes that are focused on enforcing business rules. In this section, we’ll introduce you to the unique capabilities of Enterprise Architect’s Business Rule Composer. Starting from the domain model (fact model) and the requirements that we’ll presented earlier, we’ll take you through the process of creating Activity Diagrams for Business Processes, stereotyping Actions as RuleTasks, and finally, linking the business rules to the rule tasks in preparation for Behavioral Code Generation. One of the common themes of all of our ICONIX Process Roadmaps is that they all get you to code. We’ve always believed that processes that only get you halfway to code (or less) are much better in theory than they are in practice (because in practice, programmers tend to ignore them). Enterprise Architect, since it’s early days, has excelled at “code engineering” (forward and reverse engineering for a wide range of languages, powered by customizable code generation templates). But those already strong capabilities have recently taken a quantum leap in power with the introduction of behavioral code generation from activity diagrams, state diagrams and sequence diagrams. Behavioral code generation is a major advancement over generation of “class headers” (which has been the de-facto meaning of “code generation” for more than a decade). Let’s take a look at how we’re going to process an application for our Car Rental System. The first thing we need to do is to create a RuleFlow diagram – in this case ProcessApplication (Figure 14). We’ll create this diagram “inside” of a class in the Fact Model, just as if we were creating an Operation on that class, since that is, in effect, what we’re doing. 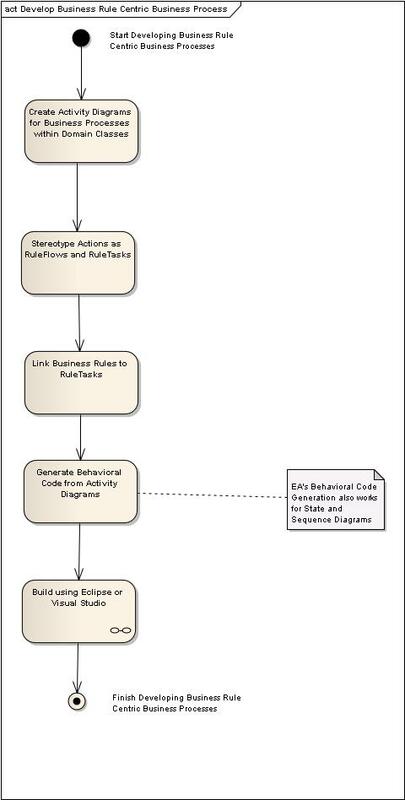 The RuleFlow diagram contains RuleTask actions. Each RuleTask satisfies one or more business rules with some conditional logic. What we’d now like to do, is to specify the conditional logic for each of these RuleTasks, while associating each piece of logic with the specific Business Rules that we’re enforcing. As you might have guessed by now, that’s where the Business Rule Composer comes into play. 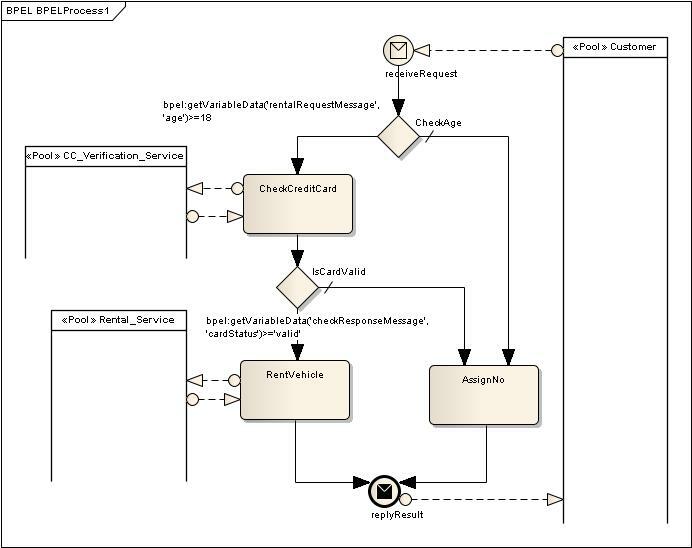 Once we’ve completely specified each RuleTask, we’d like Enterprise Architect to generate 100% complete code for the entire RuleFlow (Activity Diagram). Using Behavioral Code Generation, that’s exactly what we’ll do. 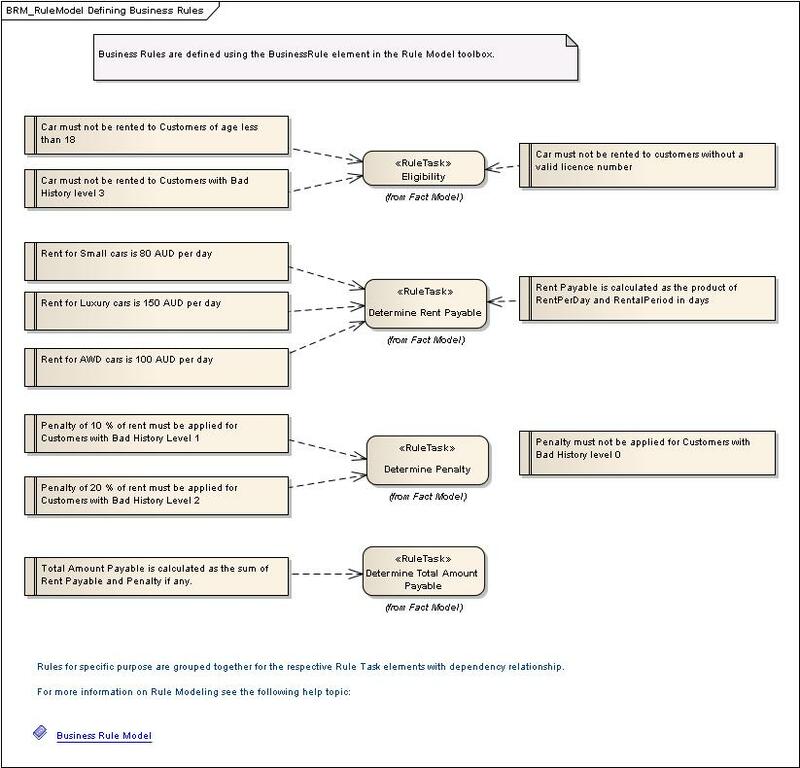 Figure 15 shows the Business Rule Composer for the “Eligibility” RuleTask. There are 2 sections on the Rule Composer screen. 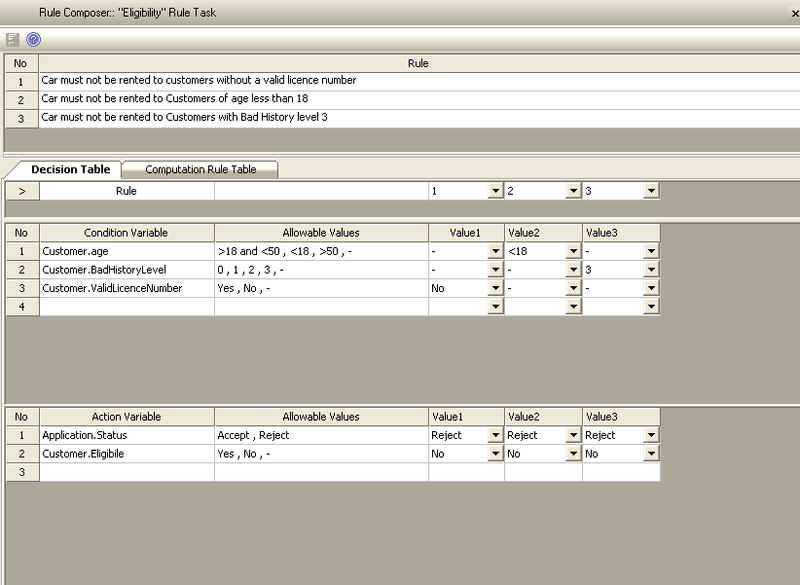 The top panel shows the Business Rules that we’re satisfying within this Eligiblity RuleTask; the lower section (in this case a Decision Table) has 3 parts: a Condition section to model condition variables, an Action section to model action variables, and a Rule Bind section to link the rule in the rule table. Code generation turns out to be very simple (and yields astonishing results) once all the preliminary work has been done. 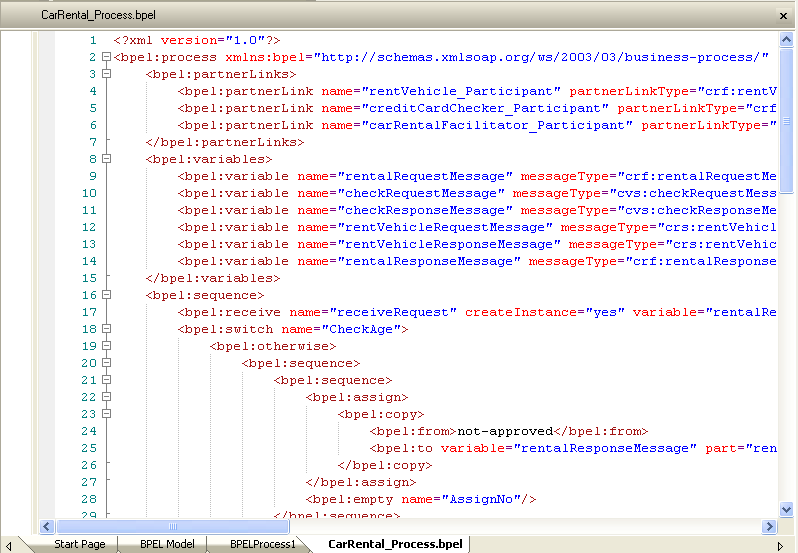 Simply right-click on the Fact Model Class in the Project Browser and select “Generate Code”…and…Voila! No programming required! It doesn’t take a whole lot of imagination to see that this capability can be a real “game-changer”. Many organizations have thousands of business rules to implement, and “errors in translation” between Subject Matter Experts, Business Analysts, and Programmers are the norm, not the exception. 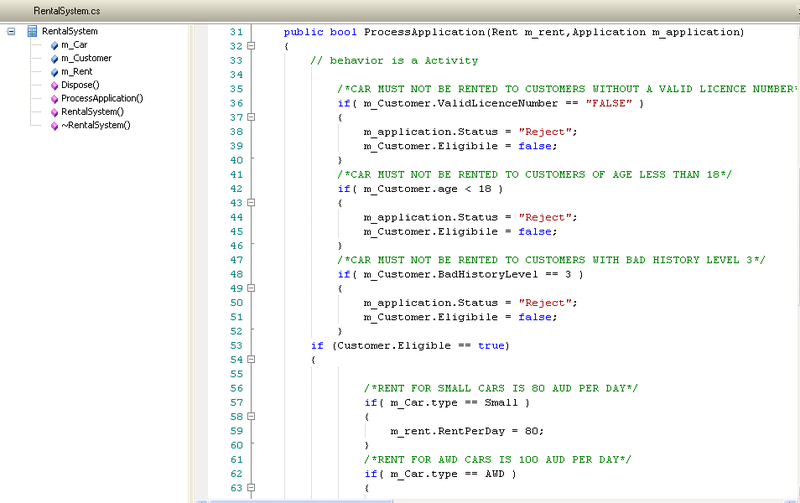 Many of those errors can be eliminated using Behavioral Code Generation and the Business Rule Composer. These now include roadmaps for Embedded Systems, Testing (aka Design-Driven Testing), Algorithm Intensive Development, and Business Modeling, in addition to ICONIX Process for Software (the original “Use Case Driven ICONIX Process”). See www.iconixsw.com for more details. 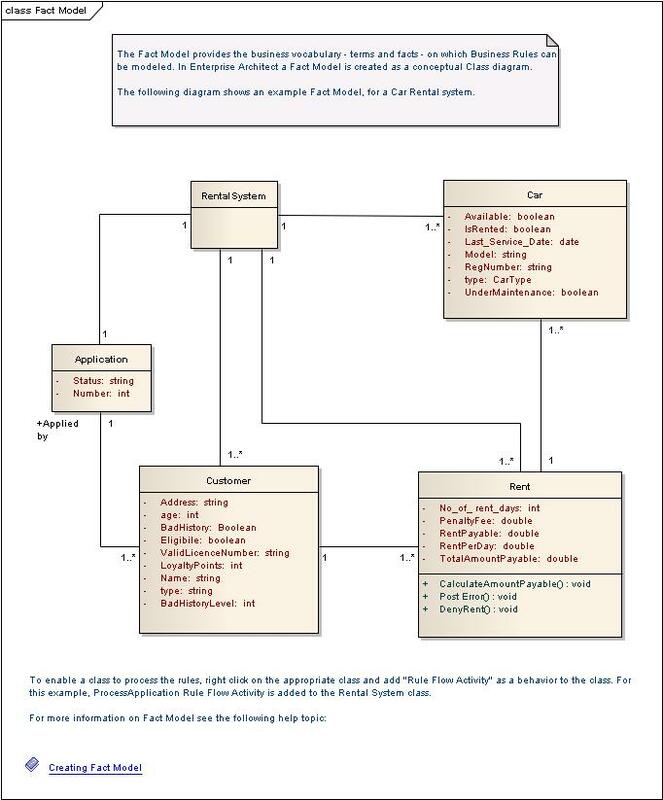 We found “Using BPMN to model a BPEL Process” by Stephen A. White, IBM Corporation, to be a very useful article.